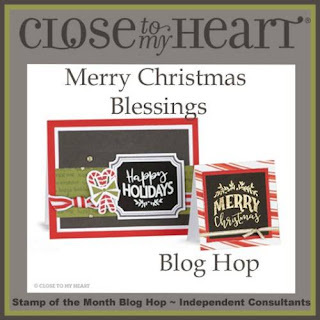 Welcome to our special Blog Hop featuring our Holiday artwork! In this blog hop you will see artwork featuring the special Christmas Blessings stampset or other artwork to inspire you over the holidays! We have 16 ladies participating in this hop so sit back and enjoy! If you came from Katy Taylor's blog you are on the right track! When you get to the end of my blog post, look for the next link that will take you to the next blog! When you get back to me you will know that you completed the hop! If you get lost along the way, you can see the entire list of participants HERE. 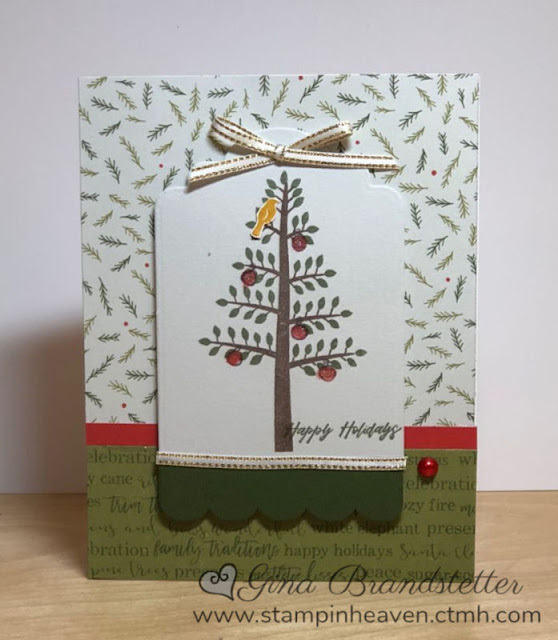 Today I am featuring a card that I created with the Christmas Blessings stampset that is available through December 31. I love that this stamp has a religious theme to it rather than just Happy Holidays! You can purchase this stamp along for $18.95 or you can purchase a workshop bundle that includes cards, envelopes, stamps, cardstock, glitter gems and silver thread to create 12 beautiful cards! Just download the instructions where you purchase the bundle! The card I'm sharing today was created from my leftover supplies from the workshop bundle. I used the same basic design as the 2nd card show above. 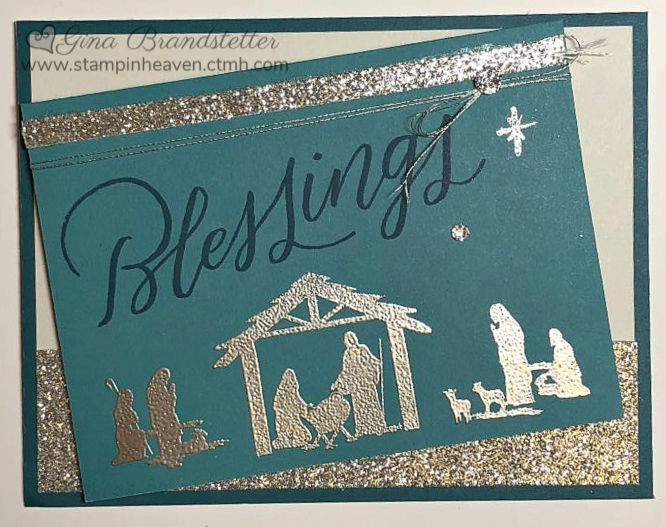 For my card I stamped the manger scene with VersaMark ink and used Silver Embossing powder. I stamped "Blessings" in Peacock ink. Next up is Miss. Carrie's Creations. Let's hop over to her blog and see what she has created! 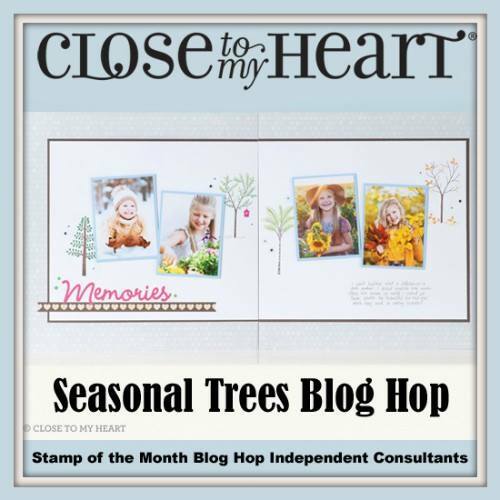 Welcome to the November Stamp of the Month Blog Hop!! This month's stamp is Seasonal Trees. 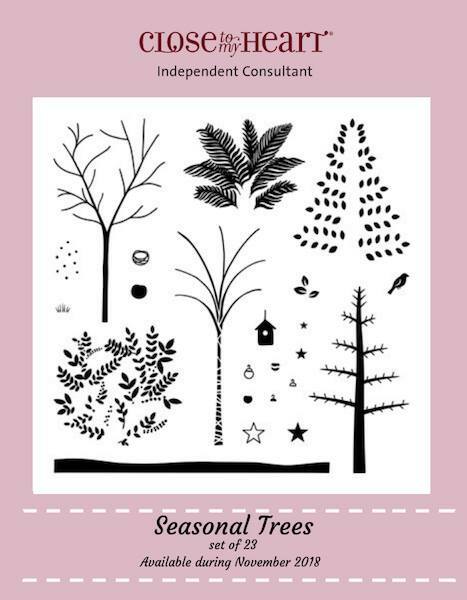 This stamp set has 23 images with a tree for every season!! If you came from Darly Recker's Blog you are on the right track! The hop is one big circle so when you get back to me you will know you have completed the hop! If you get lost along the way, you can see the entire list of participants HERE. Because fall is in the air right now (finally!) I wanted to create a tree with changing colors of leaves! To get the different colors, I used sponge daubers to daub on colors of Saffron, Goldrush, Fern and New England Ivy. I stamped the birdhouse in Glacier - first directly on my cardstock and then again on another piece and cut it out. I also cut out the bird after stamping it with pomegranate ink. 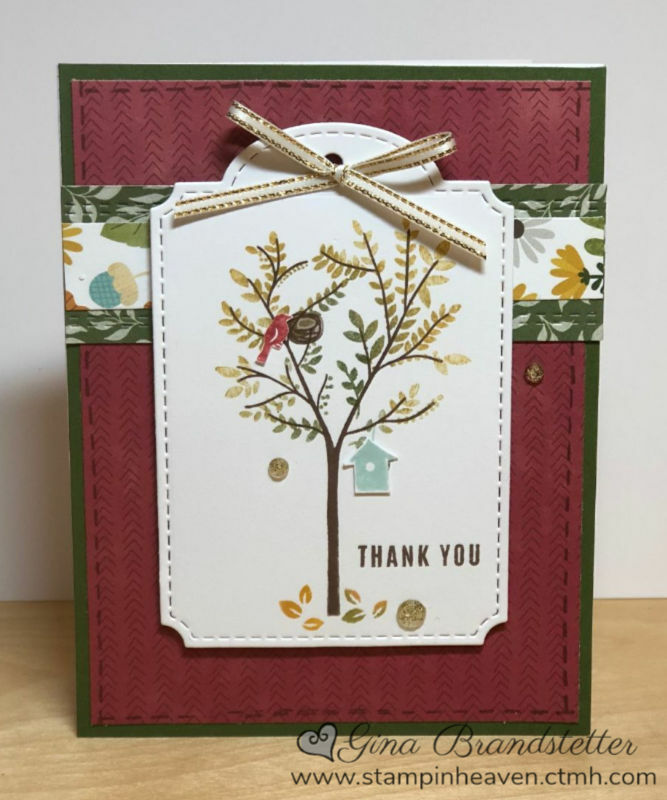 My card features the papers of Grateful Heart and Seasons Mix-ins! Can you find the Seasons Mix-in paper? I used the Decorative Borders - Thin Cuts on the Seasons Mix In paper and the Stitched Borders stamp set along the edge of the Grateful Heart paper! The stamped "THANK YOU" is from Just a Little Something stamp set. With the holiday's just around the corner, I had to create a Christmas card! This time used 'Tis the Season paper pack. I stamped the tree and the leaves and then used the tiny little ornament to stamp Chrstimas balls on the tree. I used my red Shimmer Brush on top of each ball. The "Happy Holidays" stamps is from the Just A Little Something stamp set. This stamp is available only through November 30th.